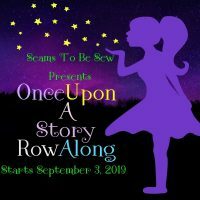 Welcome to the “Show Your Wings” blog hop! We’re SO glad that you stopped by today for a visit. 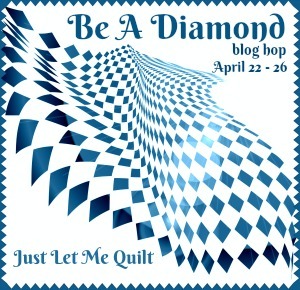 Thank you to our friend Carol at Just Let Me Quilt for hosting the hop. We appreciate Carol’s terrific organization skills, and we’re really looking forward to visiting the participating blogs to see the amazing projects that everyone has created. I chose a pretty gray with silver metallic swirls (from my scrap collection) for the elephant’s body. His tunic is creamy white with random golden sparkles with a bit of sparkly gold metallic “Fairy Frost” for the trim. The background fabric is a remnant of pink swirly print that I had left over from another quilt project, and the binding & back are gray with pink hearts from my fabric stash. The applique was large enough that I decided to keep things simple with one row of hand quilting around the elephant to make him pop out from the background. We have a nice selection of birds (with wings, of course!) 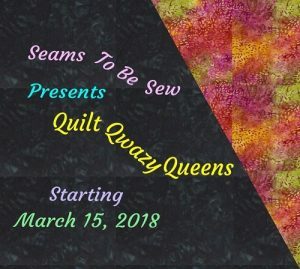 that have been featured in our quilt designs over the years. Here are a few of my favorites! Visit Ms P’s Pattern Shop to find these blocks for sale, if you’re interested! The birdy ballerina, caught here in mid-leap! She’s able to leap much higher than any of the other ballerinas on the stage, aided by her wings of course. I love her sparkly costume, don’t you? The Flamingo ballet dancer! Her long and shapely legs, and her flexible posture make even these difficult moves seem so easy to perform. Thank you so much for hopping over to visit us today! I hope that you’ve enjoyed seeing my project(s). Do you have a favorite wing-ed critter? We love to read your comments! Don’t forget to visit the rest of the participating bloggers, all listed below. There’s a lot of wings showing here. They are all very pretty. It’s hard to choose just one. Very nice work! Thanks Gin! 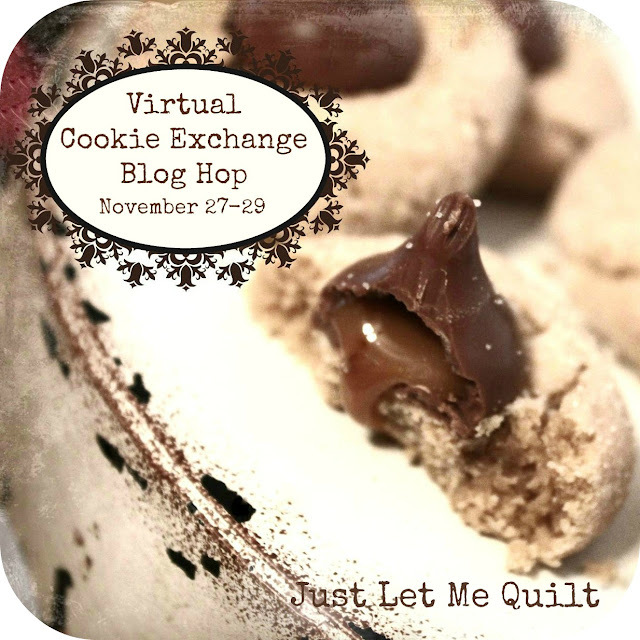 I couldn’t choose just one, so decided to show ’em all for the blog hop. nice collection/selection of winged pieces. each and every one is wonderful. I do love cupid the elephant the most, I think. Glad I don’t have to vote on just one piece. I couldn’t choose either, although I’m partial to that Cupid elephant at the moment. Thanks for visiting! I LOVE the elephant mug rug, but all the other winged designs are just as adorable and oh so cute. Thank you for sharing all of them today. I always leave your site with a smile and today is no exception. All so cute. A Cupid Elephant just became my favorite winged animal…he’s such a cutie! Your designs always make me smile and feel happy. I love them all! Thanks for hopping with us and sharing your winged elephant. i love your winged critters. and yes, i agree that cupid fits right in there. i think my favorite winged critter is the butterfly. I even have a butterfly garden.well, them and the hummingbird. thank you for sharing today. I love butterflies & hummingbirds too! I’m excited to get my flower gardens growing again this year, in preparation for more winged visitors. Thanks for visiting! So many fun winged critters. I am a Halloween person so the vulture got my attention. 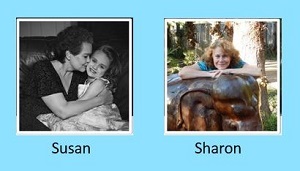 :) All are pretty darned cute, though. Never saw an elephant with wings before, lol!!! But have seen lots of pigs with wings. How cute. Love the Cupid elephant, he is adorable! Oh Sharon…I can’t tell you how many cold cups of coffee I have drank, because I’m so involved in what I am stitching. Your little elephant angel mugrug is just so darn sweet, It would surely make that cold coffee better! Fun fun designs my dear. Thanks Joan! I’ve been known to zap my coffee in the microwave up to three times before I remember to finish drinking it, LOL. That flying elephant mug rug is adorable! Thanks for sharing! Oh my goodness, that elephant is too cute. What an adorable little cupid mug rug!! He’s SEW cute. A bit unexpected, maybe, but he definitely fits the theme for the Show Your Wings Blog Hop! lol. Well, a flying elephant even beats a flying pig. Great idea for the hop and for having a copy of cupid elephant for all your own. Cupid elephant, so fun and sweet!